Twitter’s CFO to marketers: I can do that! Newsflash: finance and marketing do not always get along. Some may even say the disciplines share a unique symbiotic rivalry; they support one another, yet constantly battle over how to define the value of marketing. Twitter — itself a literal symbol of marketing in the digital era — found a novel way to end that discussion by allowing its CFO to take over the marketing discipline. The move to appoint Anthony Noto came after months of failed attempts at finding the right CMO for the company. So, in a nutshell, it’s just marketing! Give it to finance! Even though (or perhaps because) we’re losing money! Stranger things have worked, and maybe this will end up being more about “taking control of marketing spend.” Or maybe the surprise ending is that Noto is the rare investment banker-turned-CFO who has keen marketing insight coursing through his veins. But for the time being, this is playing out at the pinnacle of irony, as we see a flood of media coverage about how the floundering financial officer thinks he can do this marketing thing better. What’s missing (for starters)? A good strategy. A strong message. A vision. Really, anything that investors or advocates can get behind. While that may come soon, it’s already too late to leverage the first wave of media exposure following the announcement. I bet a sharp marketing guy could have handled that. Ahem. If a blog is written in the blogosphere and no one is around to read it- does it still make a sound? When I started my own book review blog in 2010, I thought it would be easy to attract readers. But I quickly learned how wrong my assumption was. Because the blogosphere is a crowded space, writing great content does not guarantee readers will follow. After learning this lesson, I had to find ways to push out my content so readers would find it, and then become loyal followers. Readers of this blog might be wondering, with the plethora of blogs out there how do writers ensure their content stands out from the crowd? Without readership- many blog messages can get lost in the shuffle and writers lose the opportunity to showcase their work and get their thoughts/opinions/expertise out to target audiences. Bottom line- a writer can have a great blog with top-quality content, but without readers the blog’s existence is pointless. This is why blog promotion is so important. At EZG, we’re constantly coaching our clients to promote their blogs since there is good, quality material in them. This tip may sound like common sense, but it’s surprising how many websites have a hidden blog tab or link. If site visitors are required to search the site to find the blog content, they will usually not continue the search. By placing the blog front and center on the homepage, the content maintains visibility by being just a simple click away. A blog lives (and gains popularity) on the internet- and what better way to ensure your blog gets the eyeballs you crave? By spreading it on social networks. When bloggers tap into their social networks, they’re ensuring hundreds (to thousands) of readers are exposed to the link. We advise bloggers to share the links to their blogs multiple times a day to reach those who may be surfing the social sites at different times. Bonus tip* Hashtags and @mentions are great tools for potential readers to find and share blog posts and increase the likeliness the blog link is found by readers. Twitter and Facebook are great places to find communities of other bloggers who are ready and willing to share good content! Does your client (or you) follow a popular blog that covers similar subject areas? We advise our bloggers to reach out and say hello to the other writer! For bloggers, it’s important to expand the reach of the blog by inquiring to other writers if there is an opportunity for cross promotion or guest blogging. Bloggers, much like journalists, need content and will often welcome guest posts with open arms. The blogger will also help promote your guest post through their various networks which expands the reach and credibility of the blog. As a blogger myself, I have found these tips to be extremely helpful in attracting readers. The blogosphere is crowded, but with a little bit of work you can drive traffic to your blog and attract readers who trust your insights and opinions. Like many of you, my Facebook newsfeed is crawling with videos of friends and acquaintances pouring ice water on their heads- there are so many of these videos that they’re impossible to ignore. In a matter of days, the ALS Ice Bucket Challenge went viral, with everyone from celebrities to politicians being nominated to take the challenge. If you haven’t heard about it yet, allow me to explain; a person is challenged by a friend, family member, co-worker, etc., to pour a bucket of ice water over his/her head as a way to help raise awareness for the deadly disease ALS. If they don’t, they must donate $100 to help fund ALS research. From there, the person challenges a few friends (usually on social media) to take the challenge or donate within 24 hours. Some people who made a video may not realize the Ice Bucket Challenge was not always connected to ALS. The idea was the same, but people could donate to any charity of their choice. When Pete Frates, a former Boston College baseball player who has been living with ALS since 2009, and his family got involved, the challenge took on a life of its own. Frates’ father’s video tied the Ice Bucket Challenge to #StrikeOutALS, an on-going campaign for ALS. #StrikeOutALS in correlation with the Ice Bucket Challenge has created a way for people to unite- through one cause- and through one challenge. Today, people are accepting the challenge as a way to raise awareness for a horrible disease rather than just donating to a charity of their choice. This campaign has purpose, and it’s working. These three elements will ensure that the campaign will have a relatively long shelf life and is sure to bring attention to ALS. . While there are naysayers who believe the Ice Bucket Challenge hasn’t really accomplished much, the ALS Association has received over $53.3 million in donations between through August 22. Just as important- people are talking. People are talking about ALS about what it’s like to live with ALS, , and coming forward with their own tales. I can’t help but watch my friends and my favorite celebrities pour freezing water over their heads and know that it’s going to help people like Pete Frates and Anthony Carbajal. 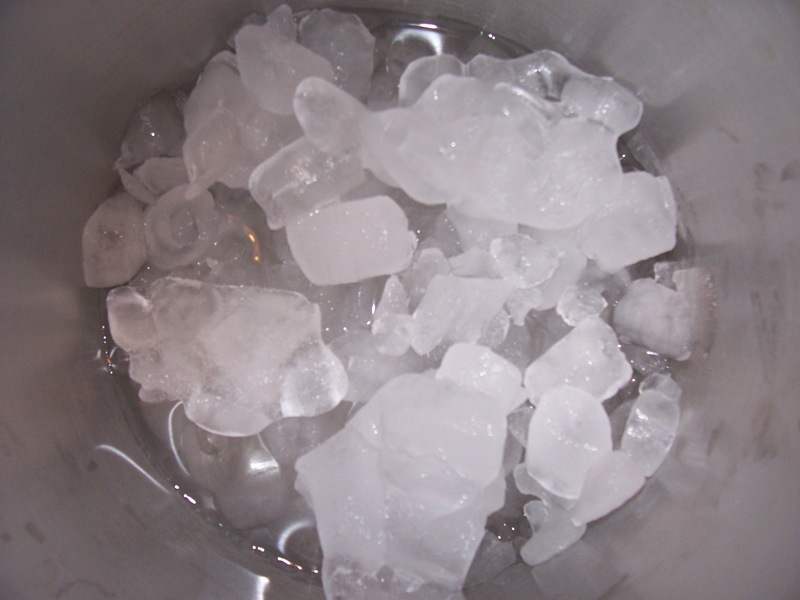 Have you participated in the #ALSIceBucketChallenge? What are your favorite #IceBucketChallenge videos? This year’s World Cup is officially the biggest social media event ever, and it’s not even done yet. Millions around the world are watching the matches and taking to social media to live-tweet their thoughts during games—and this is a great branding opportunity for companies. For the brands unwilling to dedicate a large amount of their advertising budget to space during the World Cup matches, social media has acted as a great platform to gain visibility. Many brands have effectively used live-tweeting to connect to World Cup fans around the world. Despite not actually referencing the World Cup or USA vs Belgium match, this simple tweet was a huge hit. It was retweeted nearly 24,000 times and helped the Waffle House gain coverage in the national media. The Waffle House connected to the World Cup phenomenon in an extremely clever way that drove mass engagement. The simple claim of “More satisfying than Italian” fit perfectly with their brand’s voice and capitalized on Luis Suarez’s bizarre behavior. By using the most popular hashtags of the week, Snickers’ post was retweeted nearly 50,000 times- resulting in one of the most popular Suarez- related tweets on social media. As a sponsor of the World Cup, Nike spent advertising dollars in all the necessary places. Adertising aside, they still launched the #RiskEverything campaign, using Nike’s main twitter handle and their Nike Football handle as part of the campaign. Nike’s short videos (promoted on social media) have impressive viewing statistics—upwards of 80 million views. When posted on Facebook, the video garnered over 70,000 likes and nearly 50,000 shares- Gooooooooooalllllllllllll! Their campaign has been following the cup’s action, and has had huge user engagement with thousands of social influencers spreading the #RiskEverything hashtag. Nike’s social media campaign appears to paying off with fans around the world responding and interacting. Of all the #WorldCup posts you’ve seen on social media, what was your favorite? Who are you rooting for? Let us know @ebben_zall! What’s in a Hashtag? Entire strategies! Pound sign, number sign, hashtag; whatever you want to call it, this little symbol has impacted the marketing sphere for all who work in the communications industry. It’s hard to remember a time when hashtags weren’t part of marketing campaigns because they play such a significant role when building a strategy. In fact, in some cases the hashtag is the strategy. Since hashtags are supported on multiple social media platforms (Facebook, Twitter, Instagram, Google+, and Pinterest) marketers realize using hashtags can be advantageous for bigger picture gains. Hashtags can be used to reach target audiences in a fun, engaging and social way that other forms of marketing materials can’t. By using hashtags, brands can create a quick connection to a large group, and if brands are really smart, they’ll connect the hashtag with a feeling. Creating an emotional connection enables the hashtag to leverage a positive brand image for an organization or individual. For example, Honda aired its touchy-feely #HugFest campaign (starring Bruce Willis) during the Super Bowl. Honda purposely did not mention their brand within the hashtag, in order to generalize it and position it to a larger group. Honda then went the extra mile and supported the #Hugfest social media campaign by launching a series of YouTube videos. Doing so caused the #HugFest hashtag to take off like a Civic Coupe on a race track. Marketers at Honda clearly know that everybody can use a hug now and then, and were wise to correlate a “warm and fuzzy” feeling with the famous auto maker. 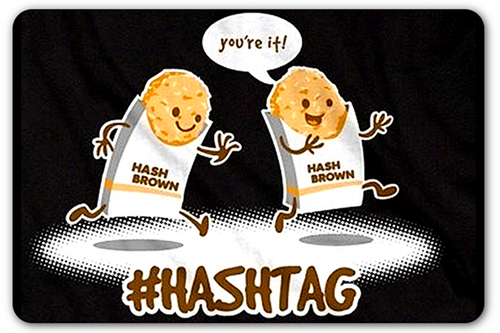 Additionally, hashtags can be used as a fierce weapon to differentiate brands from competitors. For example, Yoplait Greek Yogurt flipped their lid and created a duel with competition brand, Chobani (the Greek yogurt giant). After realizing they would rather win the “who’s better” battle fair and square (instead of swooning shoppers with studly John Stamos) Yoplait formed the hashtag #TasteOff as a way to motivate customer feedback. A risky move that even Uncle Jesse couldn’t combat. Yoplait invited real consumers to go spoon to spoon and vote in the #TasteOff on Twitter. Ladies and ‘gents, Yoplait won the brand battle right then and there. At EZG, we can stand behind a hashtag campaign that inspires direct engagement with consumers and promotes real brand loyalty across social media. Consumers want to be involved; they want to be spoken to and know when they’re being sold. Through a simple hashtag, Yoplait kicked off the conversation that inspired brand loyalty amongst consumers, a tasty move indeed. At EZG we participate in hashtag specific campaigns on behalf of our clients. We conduct industry research and survey the conversations taking place on social media in order to be active social listeners. When monitoring hashtags, we filter out the noise and find the windows of hashtag opportunity where our clients can promote their brand, position the brand ahead of competitors, or just simply engage with an existing audience. Whether it is a brand specific campaign using a designated hashtag, or a hashtag that is used during an event, we understand the power that hashtags have and we love it. What are some of your favorite hashtag campaigns? Comment and let us know which brands you think use hashtags effectively or tweet us @ebben_zall. With so many users on social media in 2014, it is nearly impossible to simply watch T.V. “Tweet-watching” would be a more accurate phrase to use when describing how we interact with television shows this season. Program viewers like me live-tweet during programs as they air and share opinions in real-time with other viewers by connecting with hash-tags. Live-tweeting television shows using designated hashtags has taken over Twitter, with #Sherlock , #Scandal and #GoldenGlobes emerging as trending topics as they air. 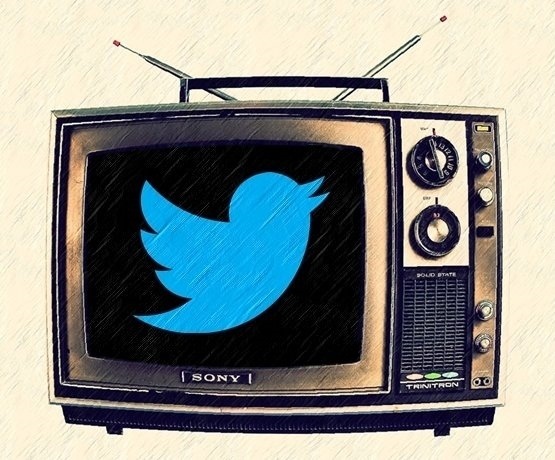 By using Twitter as a communications tool to connect with others T.V. fans, thousands of people are watching, tweeting and interacting with each other at light speed. Because of this, television is no longer a passive activity but an interactive experience. The shows also encourage live-tweeting as they often include the desired hashtag to use on the screen, and ask viewers to tweet @ reactions to the show’s Twitter handle. For example, when the airdate for the third season of hit BBC drama Sherlock was announced, the show introduced the hashtag #SherlockLives on the side of a hearse. Fans instantly took to the new hashtag, and used it in their tweets when Sherlock returned on January 1st, 2014. The BBC used the hashtag as they live-tweeted their reactions and exclusive photos and content for the three episodes of the series. By connecting through advertising, show promotions and Twitter, fans were able to share in the experience of the show’s premiere instead of simply observing it. However, live-tweeting is not just reserved for TV’s biggest fans—brands are also tapping into the benefits of live-tweeting and using it as an advantage. For example, DiGiornio Pizza is one brand that excels at leveraging the power of Twitter conversations. During NBC’s Sound of Music Live! DiGiornio live-tweeted the entire show which resulted in hilarious tweets and free media coverage for the brand. Using #SoundofMusicLive (the second highest trending topic that night) DiGiornio was visible to a large audience, which resulted in hundreds of retweets and catapulted the DiGiornio brand as a trending topic. While the Sound of Music and frozen pizza seem to have nothing common, the people behind the DiGiornio social media campaign created funny and clever ways to tie their tweets to the broadcast and connect back to their brand. Live-Tweeting has already shaped the way that broadcast outlets, brands, and consumers connect in real-time. With the rise of social media platforms like Snapchat, it shows that there is now slowing of the need for immediate stimulation. Because of that need, I feel that live-tweeting will become much more common. It will be interesting to see if more brands will utilize the potential of live-tweeting and how sales will be directly impacted—who knows we may even cover that topic on the Ebben Zall Group blog. Is online marketing the new dot.com? I don’t pretend to be an economist, but bear with me here. When Facebook went public in 2012, there was no real revenue model, no real plan, and the economy was stagnant. The company targeted a $38 opening stock price, which it couldn’t legitimately garner. Bankers scrambled to make it happen and the world cried foul. Guess what? Facebook is currently trading at $50.24, and everyone on the planet still uses it to post pictures of their children in snowsuits. For now. In 2013, Twitter headed for the public markets with lessons in hand from the Facebook “debacle” (I struggle to call what is now a $120B company a true misfire). Smooth sailing, sneaking under the radar at a measly current market cap of around $28B and now trading at the same price as FB. Forbes.com would have us look at all the ways these IPOs were different. But surprise! They’re actually very much alike in the most important way: once again…no real revenue model, no real plan, no clear economic picture. Just a giant, overly communicative audience at their fingertips. In the end, the markets bought bandwidth, and little else. Certainly there’s tremendous value there, as the world runs on connectivity. There is no shortage of ways in which these platforms can evolve and serve as launchpads to great new ideas and products. They factor into our daily marketing strategies and serve as a common touchpoint for audiences across every industry. The question is whether the current iterations will translate into long term viable business models, or go down in flames and give rise to a phoenix we haven’t yet imagined? The way we communicate globally is nothing short of miraculous, and creates an incredible new pair of pants into which marketing will grow. In our glorious tradition, though, we’re assuming value before the fabric is fully cut; my hope for 2014 is that we can find the seams before we get, well, too big for our britches. Just a few weeks ago I posted about “staying on top of the media mix,” looking at how the industry lines between PR, advertising, and social media are blurring to create effective marketing campaigns. I discussed how Honda’s #WantNewCar campaign strategy implemented all three elements cohesively and engaged with target audiences. And guess what? Honda is at it again! 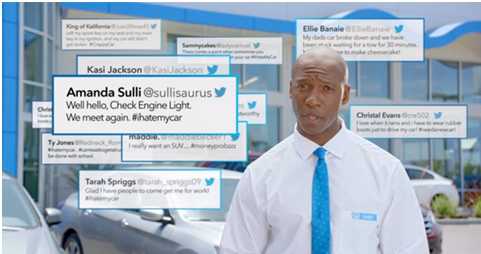 After Honda captured viewers with the commercial, the marketers turned their attention to twitter. While scrolling feeds on October 1st, I noticed that Honda began tweeting @ other brands, using the vacuum as a conversation starter. Honda posted tweets that demonstrated the sucking power of the vacuum using products from companies like Oreo and Lego. Consequently, those brands began to retweet the clever pictures and captions to their own audiences, and the campaign gained viral stardom. More and more on social media we’re seeing corporate brands using digital platforms to push their overall brand or a specific product. Whether they’re taking advantage of timely content (like Oreo’s Super Bowl Blackout ad), or launching a planned campaign like Honda’s Odyssey vacuum effort, social media helps to get the message directly in front of the consumer. The tweets were short and to the point. They targeted brands that share their audience (families with small children) – parents can relate to lost Lego’s and cookie crumbs on the floor of their car. Targeted popular brands with a large following, and using dynamic images that were designed to be easily shared amongst large groups of people. In public relations, we are our clients’ storytellers, so it’s our duty to know which mediums act as the best platforms to get the message out. In our work with automotive clients at EZG, keeping up to date with campaigns from brands like Honda is a no brainer, so we always think of ways that we tie broader corporate campaigns to our local clients. Whether companies use other brands to help push their message, piggy back off of a corporate campaign, or blend traditional advertising and PR with social media, integrating messages and media is what delivers the best and most convincing campaigns. When it comes to PR, advertising, social media, and marketing, it’s all blending together. Many times, these disciplines cross over one another as the digital influence continues to grow and becomes intertwined with other tactics. The different spheres are no longer their own element. Social isn’t just a Twitter account, and ads are not just aimed at people watching TV; every piece is being integrated. As everything meshes the goal is still the same – to influence the audience with your message. So why not become a fluid brand and spread your message across all channels? 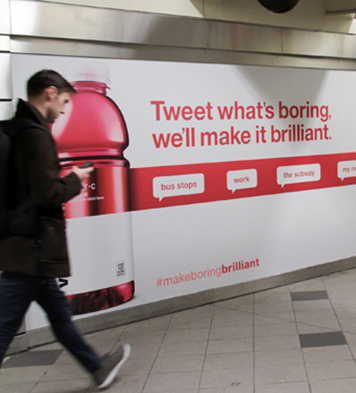 Two brands that really come to mind when thinking about integrated campaigns are Honda and VitaminWater. Even if you tried, you couldn’t escape Honda’s Summer Clearance campaign, it was everywhere. Whether you were watching TV, on Twitter or Vine, or listening to the radio, Honda utilized all of these outlets to fuel their annual Summer Clearance event. They advised consumers to use the hashtag, “#WantNewcar” to express why they want a new Honda and they could win one. Honda’s commercials then also featured some of these tweets. This campaign enabled Honda to do a very important thing: engage with the consumer and reward them for it. The sport drinks arena is a competitive one, so VitaminWater came up with a campaign to differentiate themselves from the others. Like Honda, they implemented a hashtag (#MakeBoringBrilliant) and used it not only on Twitter but across their ads as well. They got their audience talking about their brand, and engaged with their consumers. These are the case studies that jump out at us, because from social media management to traditional PR efforts, advertising and creative design, EZG handles a continuous mix of tactics to build the best strategies for clients. The best part about it? We get to keep an eye on the ever-changing landscape, and look for ways to take campaigns to the next level – with kudos to campaigns like Honda’s by RPA and VitaminWater’s by CP&B. If you’ve seen campaigns that put brands in the best light by integrating their message across different channels, please share! As the new kid to the public relations school, I entered my first full-time position here at Ebben Zall Group with starry eyes, and five internships under my belt. Coming into this position as an Account Coordinator straight from graduate school has been quite an experience. What I didn’t realize was that a PR professional has more responsibilities than ever in today’s digital and fast-paced world. For my first contribution to our EZG Blog, I have decided to provide other Millennials some tips for surviving their first role in public relations. Even though I did learn a lot from internships, nothing beats real world experience. 1. Arm Yourself with Answers. Always anticipate questions from a client. When speaking with clients, I have learned that it is important to leave no stone unturned. By demonstrating preparedness, clients become well informed and the PR team becomes trusted. When all potential bases are covered, your client will feel comfortable placing their success in your hands— and that can lead to a long and successful relationship. 2. Trust your Social Media Instincts. Chances are you are going to be spending much of your time interacting on social media. As a millennial, I have used social media in my daily routine for quite some time, but it is a different ballgame when it is used professionally. If a tweet or post does not sound quite right, don’t post it. If you sense controversy, follow your gut and save yourself the trouble. Don’t be afraid to get a second opinion from a co-worker if you are on the fence. Look at what happened to Dr. Phil this past week: a careless tweet landed him in some hot water with the media. PR professionals need to be thorough and well-organized when relaying information internally and externally. If you work at an agency, you are most likely bouncing around different projects with multiple clients throughout the day. Keep multiple “To Do” lists for urgent tasks and a separate list for long-term items. I personally have a table with items under four different categories marked urgent, tomorrow, next week, and ongoing. I update this every day to stay on top of my work and committed to organization. Tip: color-coding your tasks can also be a big help as well. To my friends who have decided to embark on a career in public relations: this may be your first “real world” experience. The territory may seem daunting at first, but remember that your co-workers were once in your shoes. Don’t be afraid to ask them for their own tips and tricks – they want to help you learn. Use their knowledge to your advantage, because one of the best benefit of a team is the shared experiences that can be gained.